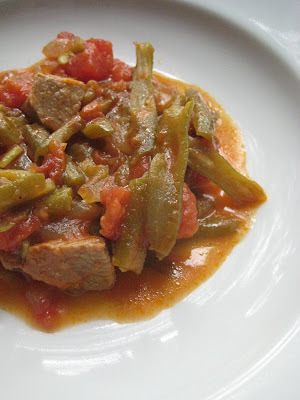 Although not quite favorable as its vegetarian version simmered in olive oil, green bean stew with meat provides a warm getaway from cold olive oil summer dishes of Turkish cuisine. Fresh green beans and ripe tomatoes picked from the farmer's market, cooked with lamb or beef, and served with white buttery rice and cacık makes a strong case against any style of bean dish. -Put butter and meat in a pot and cook to draw out its own juices. Wait until its juices cook down to a rich brown. -Add onion and stir for 2-3 minutes. -Add tomato paste and cook for 1 minute. -Add diced tomato and 2 cups of water. -Cover and simmer on low-medium heat for 30-40 minutes. -Add green beans, salt and pepper. Add hot water if it cooked down to barely cover the beans. -Cover and simmer for another half an hour until beans are cooked. 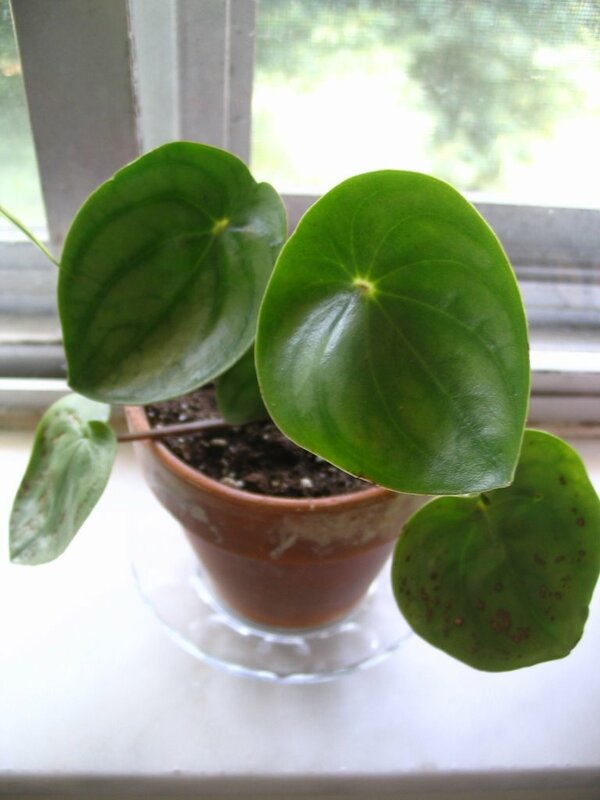 -Serve definitely with white rice and crusty bread to soak its delicious juice. Thanks, Jeena! You're right; green beans and beef do really go well together. 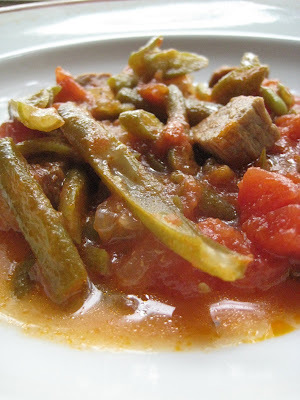 But I must say green beans go even better with lamb. It's funny that I always associated string beans and tomatoes with Italian cuisine, because my Italian grandmother used to make them that way. Yours look so lovely, Burcu. And thanks for the kind words about my stuffed artichokes; I really hope you try them! During the 1960's, it was my good luck to live in Turkey for a while. While the Ayran almost killed me, I still remember the delicate flavors of Turkish cuisine. I am making this dish as we speak. 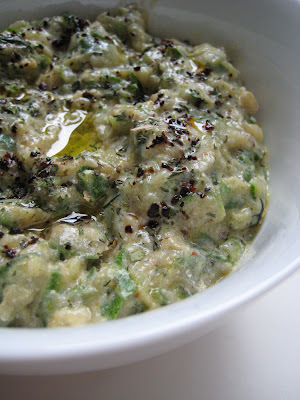 Last week, I made hunkar begendi for the first time, and it was outstanding! In the top 10 cuisines of the world, surely Turkish cookery deserves a place! I make this with ground lamb and serve over fork smashed yukon gold potaoes. delish!